What Is Key Control ? How many total keys were cut for that lock code or lock? Can you account for all your keys and who has them? Has that lock code every been repeated? Do you have a high security lock? Lock security is only as strong as key control. You could have the strongest and best high security lock made, but if you can’t control your keys that very expensive lock is not very secure. It doesn’t matter what type of lock you purchase. You can make it more secure by practicing good key control. It is more difficult to have good key control in a business. The rules are the same, but there are more people involved. This is where lockable key rings and tamper proof key rings are used. 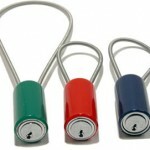 With lockable rings, you place the keys on a ring and they are locked usually using a high security lock. For tamper proof rings, the keys are placed on the ring, then the ring is clamped shut. Each ring has a unique serial number. The only way to get the keys off the ring is to cut it. By using these rings, you will be able keep track of your keys, they also help prevent lost keys. When a key is lost or you can’t account for it, then a decision must be made. Should you rekey these locks or take a chance that the lost key won’t be found by the wrong person. This decision is made depending on what that lock was protecting and what that value is to you. Rekeying the lock is less expensive that replacing it. Rekeying involves changing the locking pins and cutting new keys to match. The older keys will no longer operate the lock. High security locks come with registered lock codes and they give a higher level of key control. Usually key control is maintained in a computer database and keys can be accounted for until they get to the end user. What happens after is the responsibility of the end user. Take key control seriously, without key control there is no real lock security. Learn how we can help you start good Key Control practices, contact us at Locking Systems International. Abloy Lock Company is part of the ASSA Abloy group of security companies. They have been manufacturing Abloy locks since 1907 from their home office in Finland. Today they have distributors and authorized service centers around the world. They also have Abloy owned offices in most major countries. Locking Systems has been an Authorized Abloy Service Center for many years. Abloy offers different types of locks designed for many different types of industries. Locks such as door locks, padlocks, cam locks, deadbolt locks to name a few. Some of the industries they serve are education, healthcare, government and retail. Their locks for doors are widely used in Scandinavian and European Countries where high security locks are widely accepted and used. Abloy locks are different due to their “Rotating Disc” locking principle. This locking principle uses brass discs that come together to form a locking stack. These are designed to match the discs with cuts key. Due to this design there can be over one million lock codes available. The key does not look like a conventional key and you won’t find these at the big box stores or hardware stores. Abloy locks are considered a high security lock due to their construction, key control and patented protection for the key and keyway. Distributors and service centers have contractual agreements with Abloy to maintain a high level of key control. Abloy service centers have additional training to provide extensive lock assembly services and a higher level of key control and key cutting services. Abloy locks offer extreme environmental protection from moisture, salt spray, freezing, dirt, sand and other materials. This is due to the fact that they do not have locking pins or springs that traditional locks have. With traditional locks, dirt and other foreign material can get trapped in the pin chambers or cause the locking springs to fail which will cause the lock to malfunction. Also, with traditional locks, condensation or moisture can get into the pin chambers and cause the lock to malfunction in freezing weather. They offer patented protection on the keyway and key. The first and last discs are called the profile discs, these are designed to match a particular key. This creates the keyway that Abloy then patents in the U.S. and worldwide. Abloy has now embraced electronic locks that offer both convenience and enhanced security by the use of electronic verification. 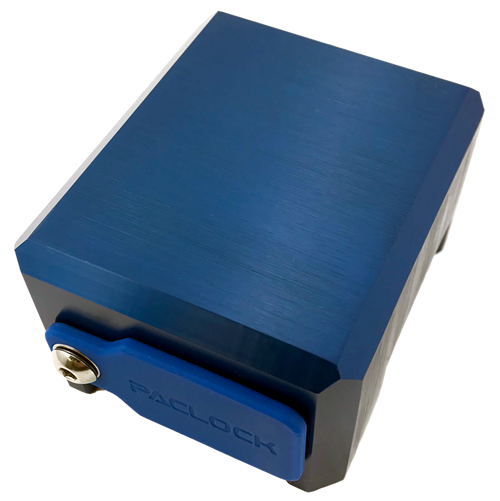 The electronic keys are designed to open mechanical locks as well as the new electronic locks giving Abloy locks great versatility. 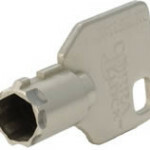 In Blogs I will highlight other major lock manufacturers. Contact Locking Systems for Additional information. Key Codes — Are Yours Secure? What are Key Codes? They are the numbers that come with the lock that you just purchased. They contain information that identify the pinning sequence in the lock and in turn provides the information necessary to cut a key. For example, suppose you take your house key into a big box store to get more keys made. The store clerk will identify the type of key you have (the lock manufacturer), then he will either duplicate the key or use the number stamped on the key to make new ones. Now, if you read the above paragraph again you will notice that you are never asked for your identification, meaning anyone can take your key and have another one made. In other words, there is no accountability and hence no key control. With high security locks, the key code is registered to you and that information is put into a database program that tracks your codes. The key code is usually blind, this means that by looking at the code you cannot get information on how the lock is pinned or how to cut a duplicate key. The blind code is matched with a pinning code which has all the information. 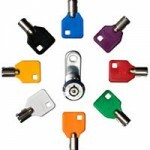 Locking Systems provides High Security Locks and Key Codes. The locks that you buy at hardware stores or big box stores offer convenience in a mid-security level, this might be OK for most people. However, always ask yourself what are you trying to protect or lock and if that is valuable is it worth a little inconvenience. You can’t buy high security locks at hardware stores or big box stores. 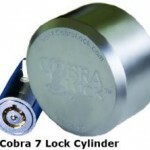 They are purchased at specialized locksmiths or manufacturer approved service centers. These places will sell you the hardware and then register the lock code to you. 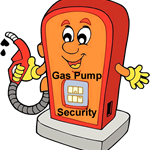 They will also provide you with the secure lock code and a way for you to use it if necessary. They will also secure that code into a database where it will not be assigned to anyone else. So, are your lock codes secure, do you even know where those code are? Maybe it’s time to look at your locks, count your keys and decide if it’s time to get a higher security lock. Need Help Call Us: 800.657.LOCK(5625) or www.lsidepot.com. Let’s look at house keys. Whether the house is new or old, ask yourself two questions. How many keys were cut and who has them; a past house cleaning service, pest service or contractor that was working inside your home. If you answer “I don’t know”, the solution to your problem is easily resolved; replace the locks or re-key them. Both methods will provide the same results. You will know how many keys were cut and who has them. This will give you control of your keys and your security. Tamper Proof Key Rings have a permanent seal that cannot be opened once it is sealed with special sealing tools. These key rings have a unique serial number for tracking; and once crimped, there is a smooth surface to move keys around the ring. 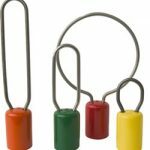 Tamper Proof Key Rings are available in solid or flexible rings and come in different lengths. 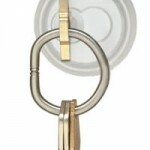 Lockable Key Rings with the Medeco High Security Lock Cylinder secures the keys on the key ring. Only the person with the proper key can open the Lockable Key Rings, thereby securing all the keys on the ring. The rings can be solid or flexible and come in different lengths. These two methods provide the same solution; they both control your keys. Let’s take a look at a real world problem for a business. In the vending business many keys are given to a service person to stock the vending machines. If those keys are not on a secure ring the service person can remove a key and come back after hours to remove money from the machine. With a secure key ring the key cannot be removed, the key rings are returned at the end of the day with all the keys attached. This is a perfect example of controlling your keys. 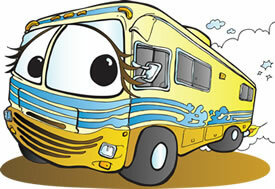 Do you know where all your keys are? Contact us at 800.657.5625(LOCK) or LsiDepot.com.